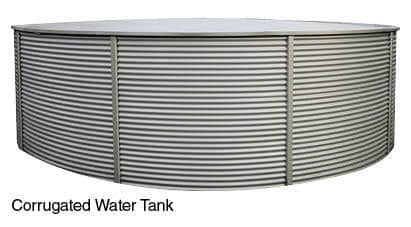 Heritage Water Tanks proudly supplies premium quality steel water tanks for residential and commercial markets in Shepparton and throughout Victoria. We offer domestic and rural tanks in sizes ranging from 55,oooL to 375,000L. As part of our quality promise, we offer a 20-year Pro-Rata Warranty on all of our water tanks. 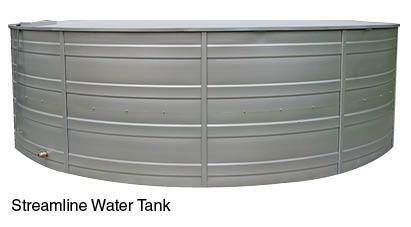 We offer you a wide range tank size options, ranging from 55,000L – 375,000L. Why are our tanks suited to Victoria? It is predicted that Victoria will experience the effects of climate change through more variable seasons and reduced rainfall in years to come. With this in mind, people living in the Shepparton region will need to be more mindful about water security and water storage solutions. This is why Heritage Water Tank’s unique gutter system is more important than ever. With our rainwater collection system, which collects water from the roof of your tank, you can save up to 22% of your tank’s volume in additional water each year. Our unique gutter system also prevents scouring around the base of your tank in high rainfall areas, as all of the runoff from the roof of your tank is collected back inside the tank. Residents of Shepparton Victoria and the surrounding Goulburn Valley, have trusted our wide range of tanks for all their water storage needs for many years. We have successfully provided water storage solutions to the thriving agriculture sector, including dairies, broad acre and fruit growers, as well as domestically for local builders on new or existing homes. At Heritage Water Tanks Shepparton, we understand the water needs of local Australian communities, which is why we are among the preferred tank manufacturers in and around the Shepparton region today. 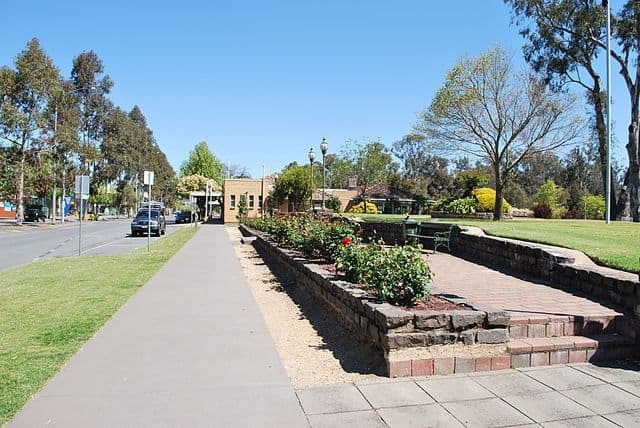 Shepparton is situated within one of the largest irrigation areas of Australia. The onus has therefore naturally been on efficient water storage systems to cater to this sector. Rainfall can vary dramatically from month to month and with an average annual rainfall of only 455mm it has become all the more important that people of this regional city take a closer look at the efficient water solutions that we offer at Heritage Water Tanks. One of the biggest challenges facing the region is the importance harvesting rain water due to the predicted lower rainfall expected over the next fifty years. A hotter, drier climate will have a high economic impact on water supply infrastructure, is why our customers place their trust in Heritage Water Tanks, to capture every drop of available rainwater. We offer a helping hand to you by offering off-scheme options through our intelligent solutions, ask one of our sales consultants about our unique water catching Gutter Technology. Heritage Water Tanks helps you achieve this with its attractive range of COLORBOND® options that help your tank to blend in with its surroundings. Heritage Tanks have installed many tanks in the Shepparton region within the residential, semi-rural, rural, agricultural, horticultural, and mining sectors. We pride ourselves on being local, which means we have to become part of each and every community in Australia. Our distributor Total Tanks Victoria, provides excellent service to our customers and install our tanks statewide with pride.